Our Firm : Lippert Wealth Management, a service of D.A. 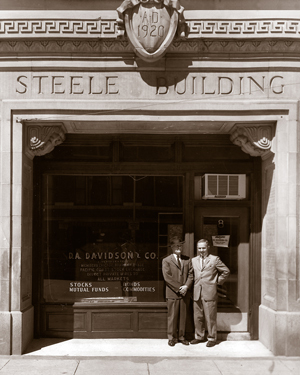 Davidson & Co. The Wealth Management division of D.A. Davidson offers wealth planning that includes a wide range of financial solutions and services. With a focus on personalized service, we work as our clients' trusted advisors to develop strategies for building and preserving long-term, multigenerational wealth.